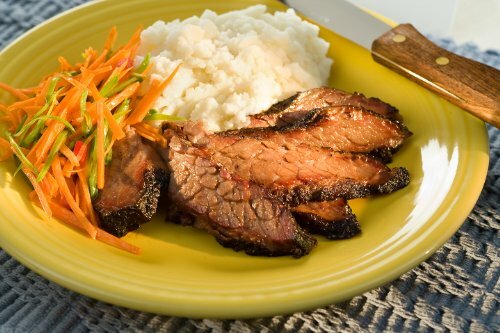 Whether you are on the BBQ circuit or an amateur enthusiast, these USDA Prime Briskets from Creekstone Farms will be the pride of your grill. We strive for briskets with the thickest, most even flats available. Our 12-14 pound Prime briskets are pulled and shipped fresh from the production line. Size: 12-14lbs. We process orders Monday-Wednesday and standard shipping allows 1-3 days in transit for delivery. There is an expedited shipping option if you need items sent out quickly otherwise we recommend you place orders 1-2 weeks before you need them.